The Clear Flame 2 in 1 glass and masonry cleaner has an improved spray trigger for ease of application and child safety. Specially thickened to cling to vertical surfaces. Quickly removes soot, baked-on creosote and smoke stains without affecting brass paint or lacquer. Lainnir Glass Ceramic Cooktop Cleaner is 94.3% natural, and third party laboratory certified non-hazardous (non-toxic, non-flammable, noncorrosive). It gets off stubborn burned on spills, and is recommended for all major range manufacturers. Lainnir Glass Ceramic Cooktop Cleaner is scented with real lavender essential oil so that you have an aroma therapeutic experience every time you clean your cooktop. 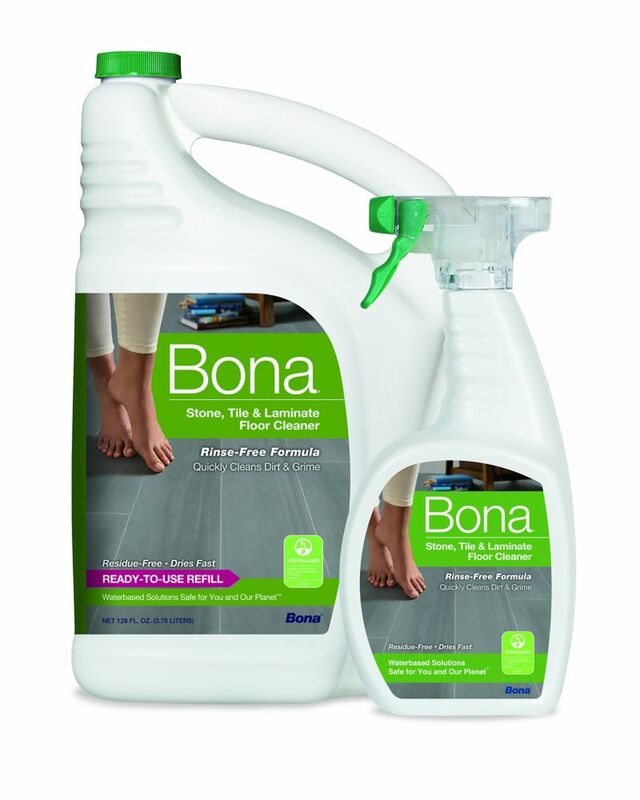 Stone, Tile & Laminate Floor Cleaner The quick & easy Bona Stone, Tile & Laminate Floor Cleaner is safe and effective for use on hard surface floors. The specially designed degreasing formula effectively removes dust, dirt and grime leaving your floors clean and beautiful. The GREENGUARD GOLD certification confirms it's safe for use in your home and around your family.